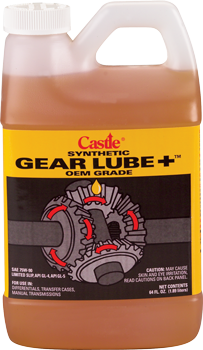 Castle® Gear Lube +™ is a premium, full synthetic gear lubricant formulated to require no additional additives. It provides superior high and low temperature performance and improved thermal stability for wear protection, even in severe service applications. 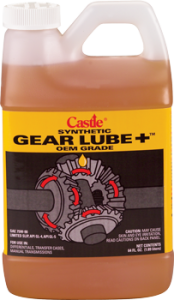 Gear Lube+™ is available in 75W-90 and 75W-140 OEM grades, and includes a limited slip additive. 1. Use per automotive or machine specifications.